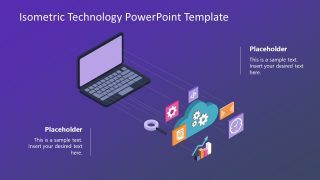 The Simple Rocket Idea PowerPoint Template is a single slide layout displaying a spaceship launch. This slide displays a lightbulb instead of the rocket to metaphorically demonstrate new ideas. These ideas could be innovative and creative solutions to existing processes. Or, present startup and entrepreneurship concepts like new business approach. Especially, the launch of product or service like never before which may bring evolutionary change in business world. 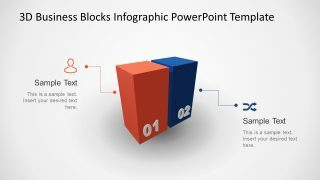 This metaphor template has flat vector slides with PowerPoint shapes of storytelling presentation design. The slide provides a sky, mountains, and clouds around the launch of lightbulb rocket. The Rocket Idea PowerPoint template is ideal for discussing creativity, innovation, growth, performance, beginning, and success of projects. The business presentation layout can impress the audience of startup investment and idea sharing meetings. 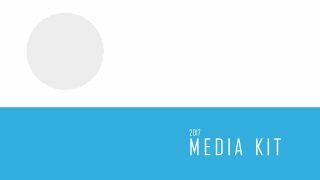 More importantly, in the field of space, science, and technology, this template can make visual illustration quite easy. Because they can relate their concepts of information technology, space science, and astronomy using spacecraft idea. Whereas, the lightbulb clipart icon simply represents ideas and solutions. 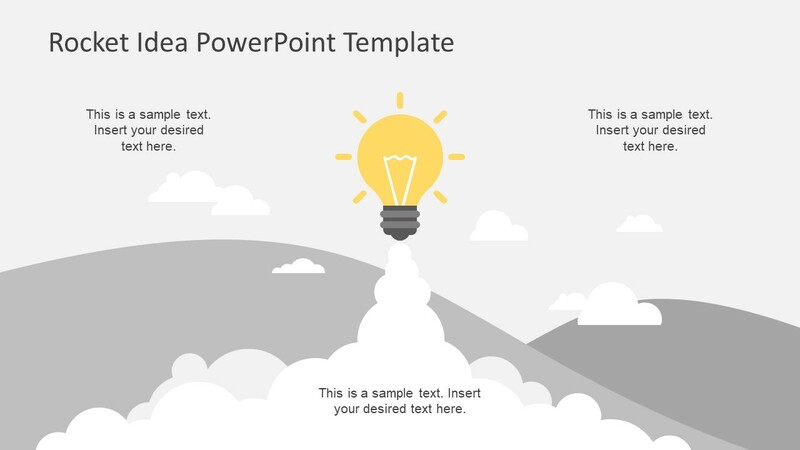 The PowerPoint template of lightbulb rocket idea is a fully customizable slide to show progression of starting business. 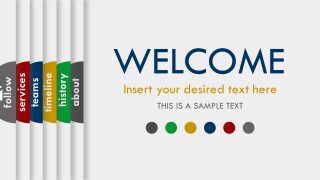 Originally this slide template has a grayscale theme of shapes with yellow lightbulb icons. This clipart icon makes the rocket idea stand out while discussing the background and need of their product or service. However, the users can change colors and turn this slide into colorful rocket launch design. For example, turn the mountain green and sky blue for more authentic summer slide view. And, smoky-gray color to the smoke clouds.